All sales of custom merchandise are final, and cannot be returned. If you purchased customized merchandise online and received damaged, defective, or inaccurate product, please call our team at (800) 999-6263 so we can assist you immediately. To initiate a return, please call us at (800) 999-6263 to obtain a return material authorization (RMA) number. After receiving the RMA number, place the items to return in the original box if available along with the packing slip. Write the RMA number on the outside of the box and take it to your local UPS, FedEx, or Post Office. If returning via USPS, please obtain proof of receipt. 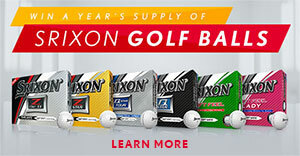 If the return is a result of our error, Srixon will compensate you for the return shipping.